December 12, 2018 - Digital Capital Advisors is pleased to release our latest sector piece, Perspectives on Digital Intelligence. December 4, 2018 - Digital Capital Advisors is pleased to release our latest sector piece, Perspectives on Education Technology. October 16, 2018 - Digital Capital Advisors is pleased to release our latest sector piece, Digital Agency Market Update. 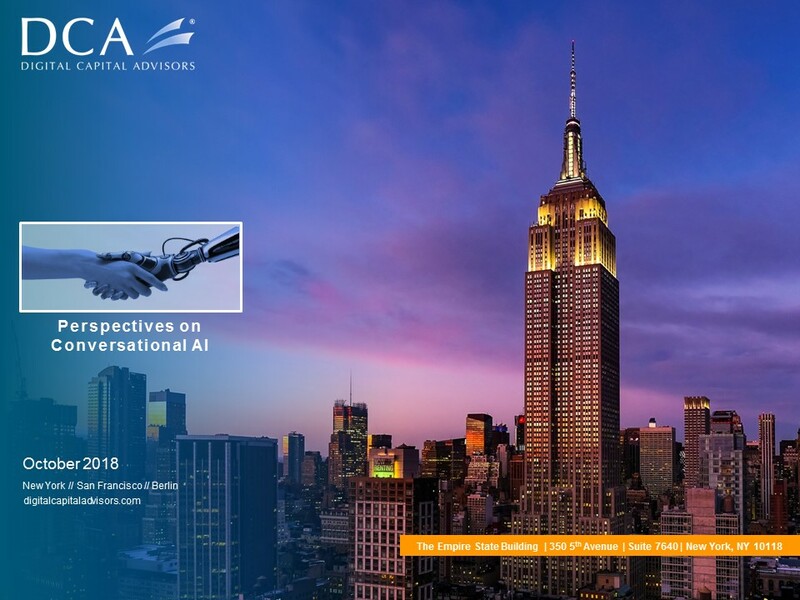 October 16, 2018 - Digital Capital Advisors is pleased to release our latest sector piece, Perspectives on Conversational AI. 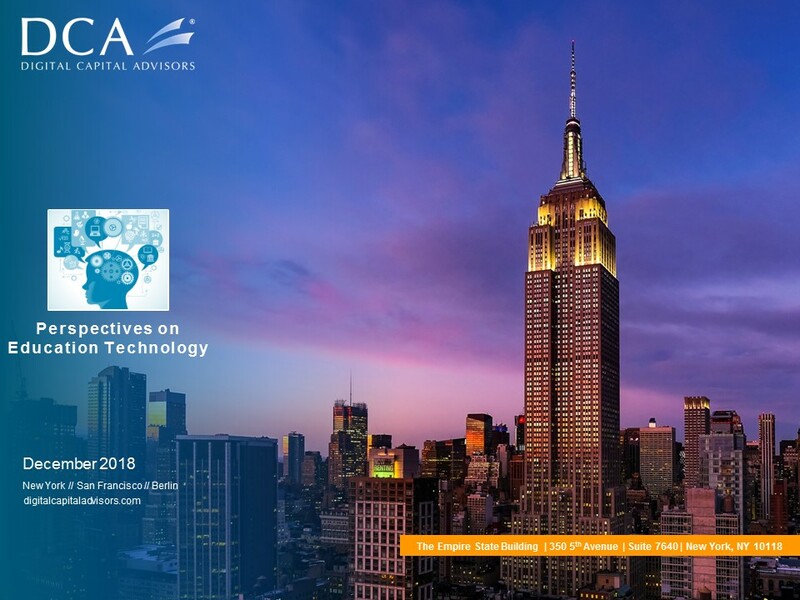 September 13, 2018 - Digital Capital Advisors is pleased to release our latest sector piece, Perspectives on OTT. October 5, 2017 - Digital Capital Advisors is pleased to release our latest sector piece, Perspectives on eCommerce and Retail Technology. August 10, 2017 - Digital Capital Advisors is pleased to release our latest sector piece, Perspectives on Artificial Intelligence.